Lot 83 Bronze Rectangular Steam Locomotive Worksplate. 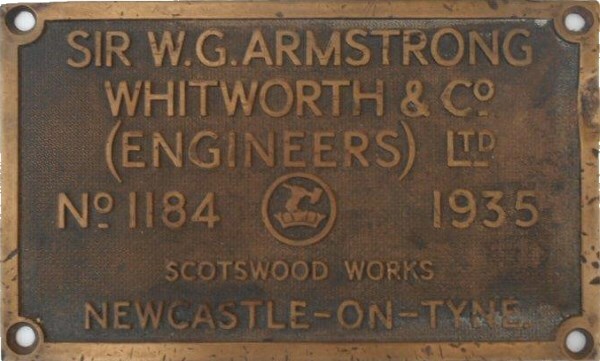 Armstrong Whitworth Works No 1184 - 1935. As carried by a Black 5 4-6-0 No 45143. Allocations included Crewe South, Llandudno Jct, Shrewsbury. Wdn 12/65 - Cut 3/66.